All-in-one pack features everything you need for basic floor maintenance. 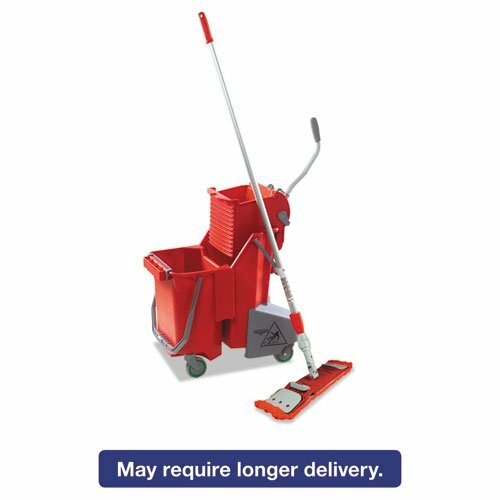 Unique side-press wringer/dirty-water bucket allows you to keep mopping and waste water separate. Telescoping mop handle pole extends worker's reach. Machine-washable microfiber mop may be used wet or dry. Caster-equipped bucket is very easy to maneuver.